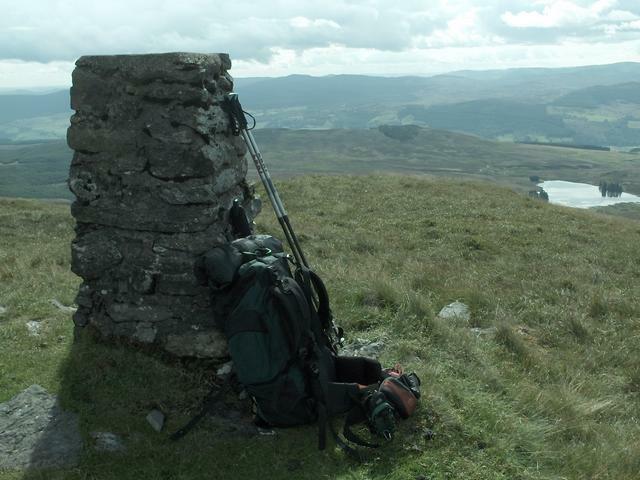 There are 22 photos for this trigpoint (view album). 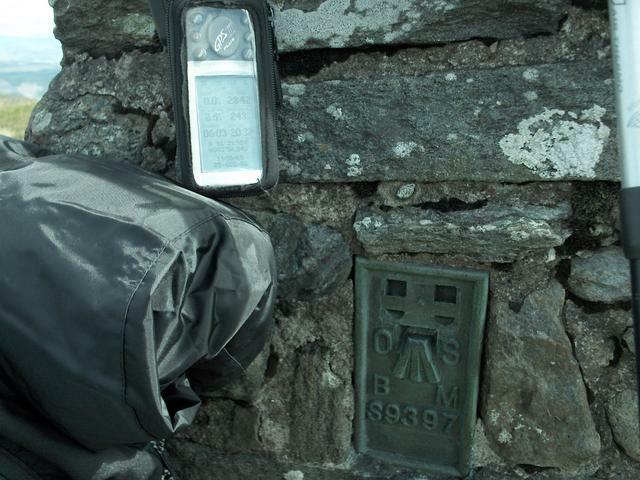 Is ranked joint 2343rd with 41 other trigs (more). See 16 more in the album. Approach from lime kiln CP. Stone built pillar. 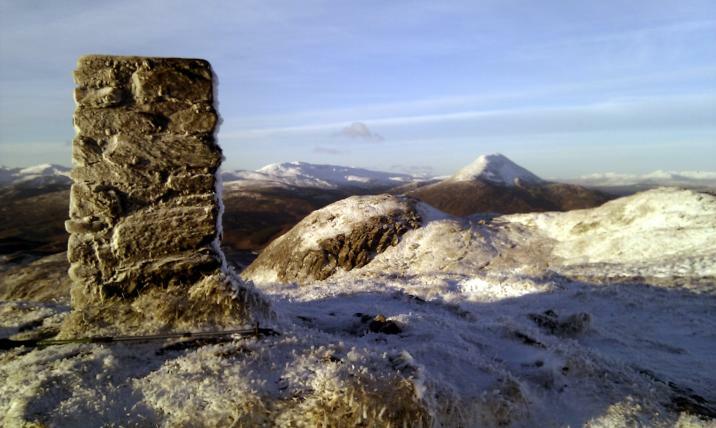 Excellent views (especially Schiehallion framed by the Ciochs. 9397 is prime! Extremely poor visibility for this one today as the entire top half of the hill was covered in clag. 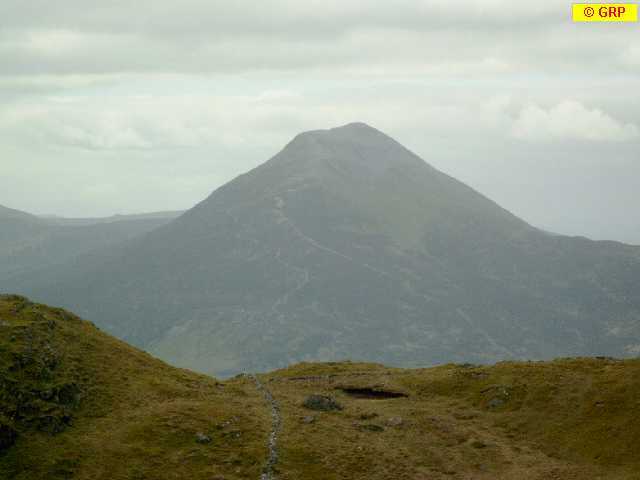 This was fine whilst on the vehicle track but made navigation tricky once off the path and headed for the true top. 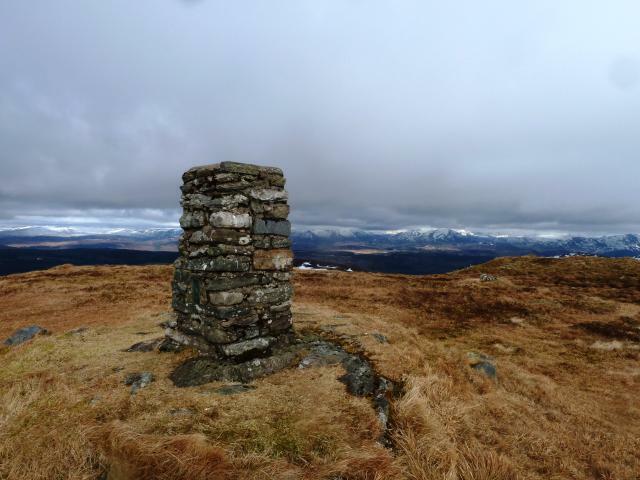 Reached a cairn which we assumed was the top but realised there was actually a trig point. We kept wandering through the clag going over small rises before getting a bit fed up. 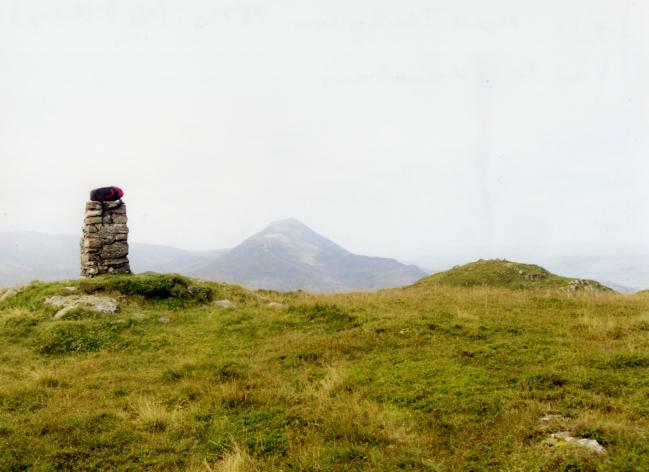 We decided we would check one last rise before calling it a day if we didn't see the trig pillar. Thankfully this rise was the pillar so pretty much touched the trig, sampled the non existent views and turned around and went back down the way we came. Nice walk and would like to have done this one on a better day but hey how! Parking and ascent as Cootking. Big tipper truck going up and down track.Second time I saw him was near the top of the track. He stopped truck, switched off engine and advised me about best way to get to the top of the hill.Very helpful! Big space to park off road at start of forest road at 780562. Easy but steep ascent through trees, levels a bit on open hillside. Turn right up faint path when road finally levels out. 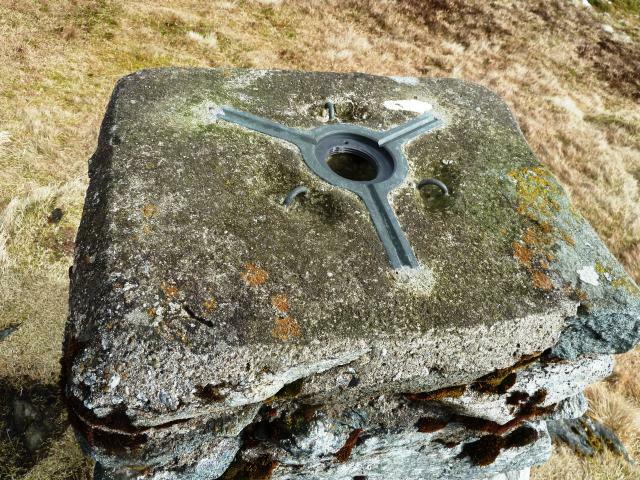 Stone trig, extensive views. 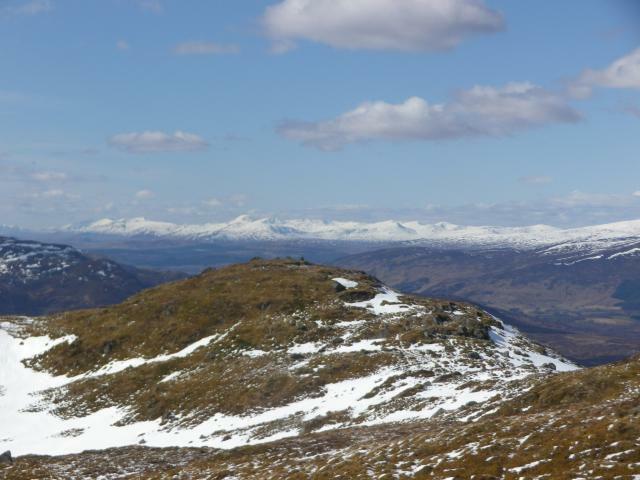 Wise choice as Schiehallion in cloud. 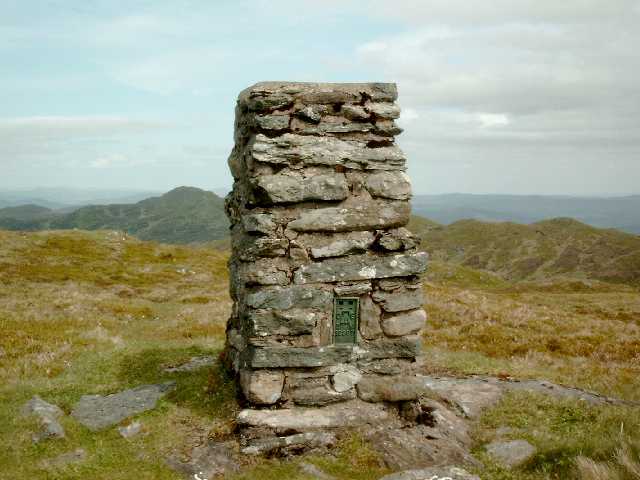 Excellent linear walk also including Farragon Hill from the lime kiln car park to the west. Very reasonable weather Mr Maker, to get the mist lifting just as we arrived at the summit. Bert Barnett also put in a guest appearance just as we were getting ready to leave. From quarry car park at Tom Phobuill with Alex Cameron, Smudge Smith and Steve Gillions. 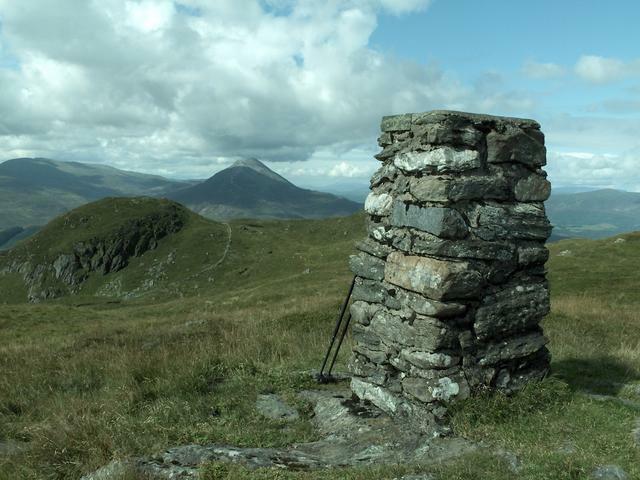 Pillar is at summit of Meall Tairneachan. 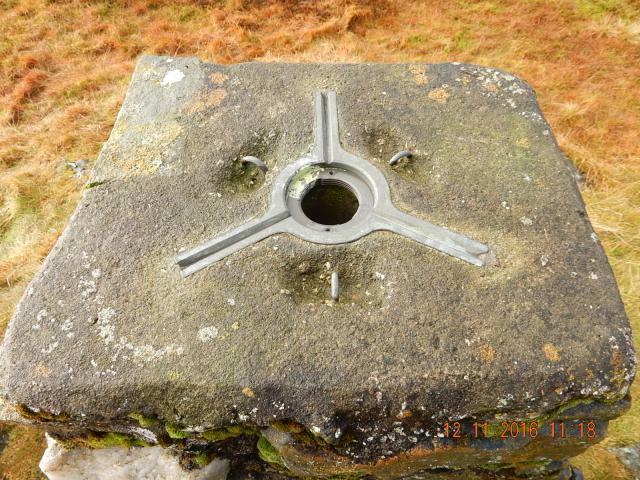 Stone-built; top cap missing, no plug; front sight hole open, others not recorded. A fine location with an extensive panorama - better viewed on a clearer day. Second visit. Crossed on the way back from Farragon Hill. Did this with Fraser07. This was his first hill day. Pushed/rode bikes up track through trees. Dropped bikes near top of track and headed to summit. Very windy on top. Great ride back to road. From NE, followed mines track (NB, parking here discouraged). Continued E to revisit Farragon Hill; took in 7 Graham Tops and a few minor summits; back along road from Tomphubil in the gloaming. 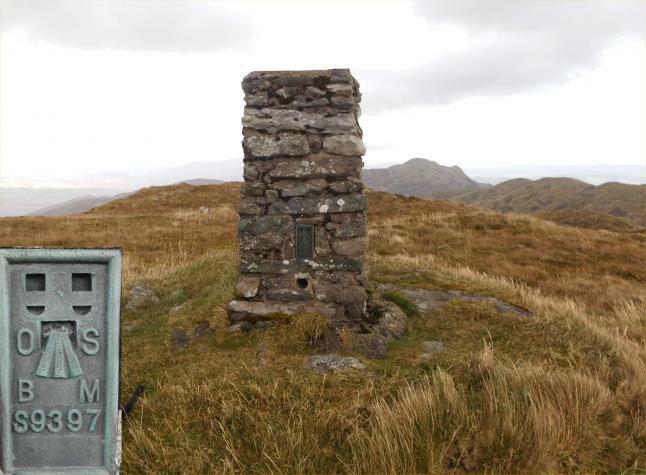 The rather odd trig name is misappropriated from the lower top just to the north of Meall Tairneachan which is the hill the trig stands on. Corbett no.25. A direct trackless route up from the limekiln. 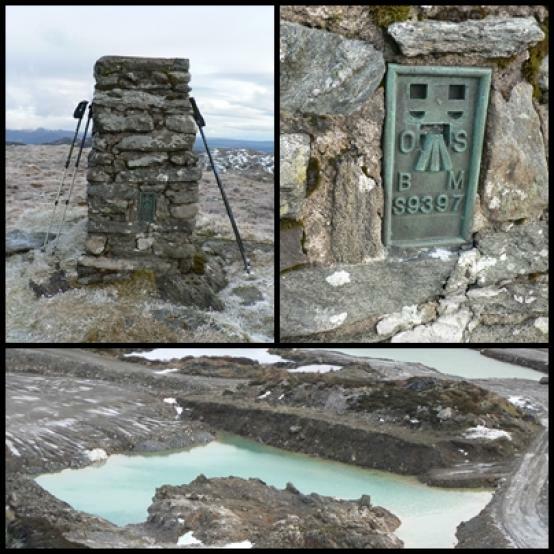 The longer route goes up by the Foss mines track which comes within a few metres of the summit. 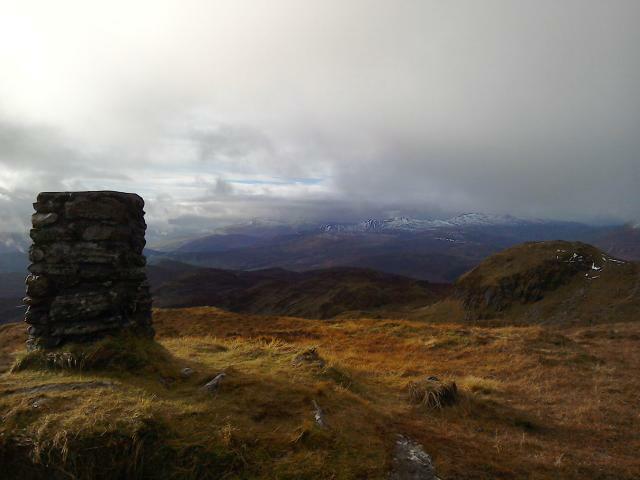 View dominated by Schiehallion to the west. A good hike to this point from the lime kiln on the B846 following the line of the forest, no real path. 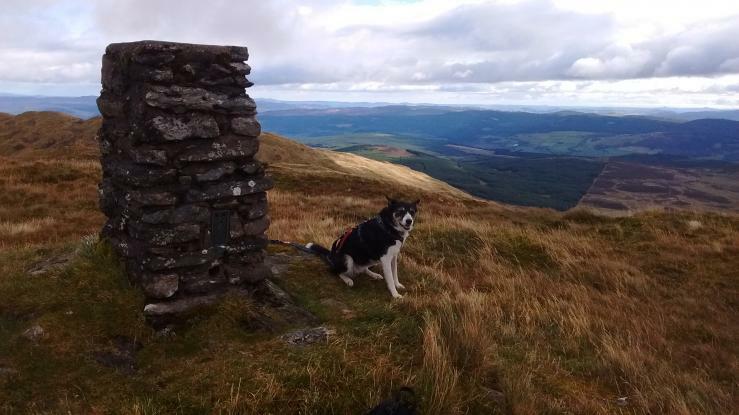 The rest of the group did Schiehallion which was covered in cloud most of the day we however had stunning 360� views. And an easy walk back to the road using the quarry road. Trig point & views The route we had taken to the trig pillar you would not have known this quarry existed. Stone-built with spider open. 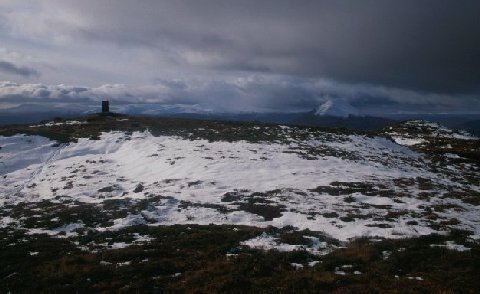 Previously visited this Corbett 07/03/71, no trig details noted. A lovely view point, a long dusty climb up along the road to the mine; we choose this route for ease of access for our disabled son. 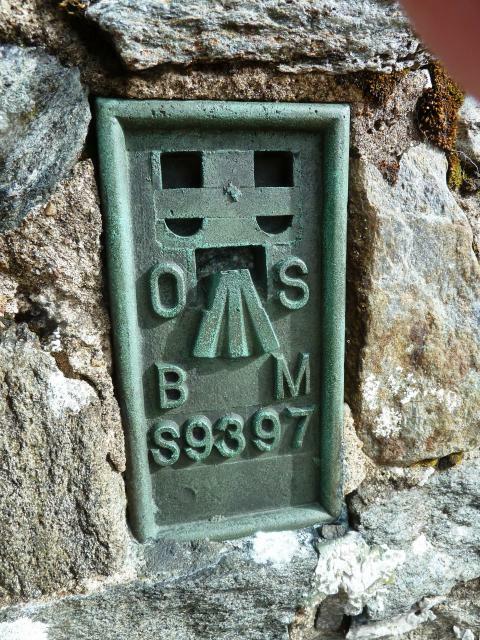 Enjoyed an hour working radio from the trig for Summits on the Air(www.SOTA.org.uk) would have loved to have carried on to Farragon Hill, but time was against us walking at the children's pace. 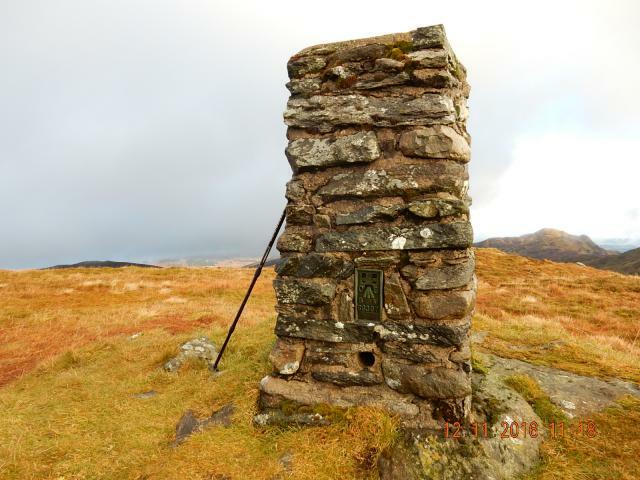 Stone built pillar in very good condition. Spider centre open. RHS sighting hole open, others plugged. 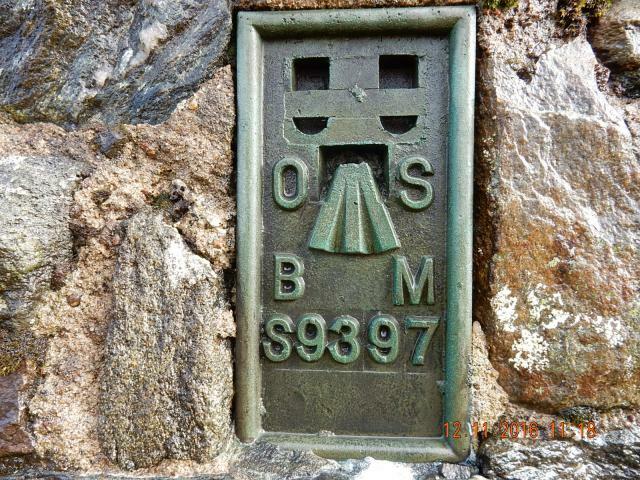 Flush bracket faces 251�, WSW. Built 27th April 1957. 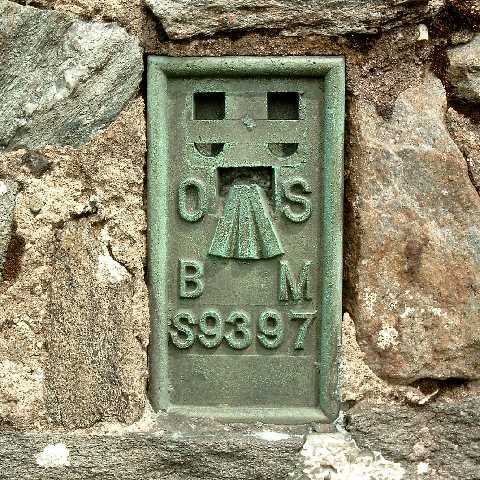 Secondary station in Block NN96, Pitlochry. Photographed 13/06/2006, GRP. Continued around to Farragon Hill. 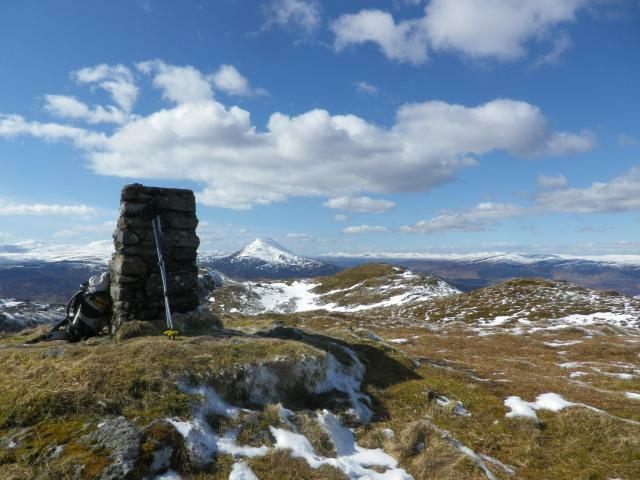 Ciochan a'Chop The summit, view toward Schiehallion.